When it comes to raising animals and growing your own food there are so many things to learn and know. I have found over the years that tips from others really have helped me in my own homesteading journey. I hope to do the same for you by sharing what I have learned along the way. Not all of my simple homesteading tips are life changing and need to be shouted from the rooftops. In fact, quite a few of my tips are surprisingly simple. But those tips, the simple ones, are sometimes the tips that make the biggest impact. When you free range your hens calling them into the safety of the coop at the end of the day can be hit or miss. Chickens will usually return to the coop at dusk, but if you happen to notice that one of your girls did not come back try doing a quick hen call, “chick, chick, chick” while shaking a bucket of seed. If it is not too dark out, this tip will usually work pretty well. If it doesn’t work, your next step is to take a walk around your home and do a quick search. 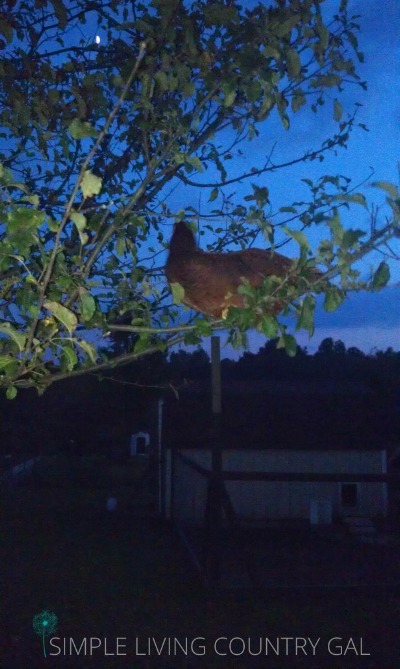 Hens naturally prefer to be off of the ground at night, so take a peak in your trees to see if she is there. I have found many a hen this way. 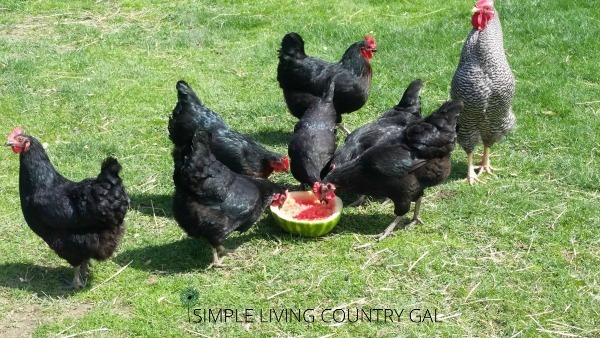 On hot summer days, it is nice to have cool treats for your chickens. I like to freeze leftover veggies from dinners that just aren’t enough to save for ourselves. My girls love frozen snacks to munch on in the summer and it really does help to cool them off. Overly ripe fruit or rinds, soup, rice, just about anything that isn’t enough to save for your family can be frozen for your chickens. Food never gets thrown away at our home. There is always someone or something that will eat what we have. Ninja tip: Remember to only feed foods that are good for your hens. Salty snacks, processed meats, sugary items such as cookies or cereal are not good for your chickens. Also, rotten foods are not a good idea either. 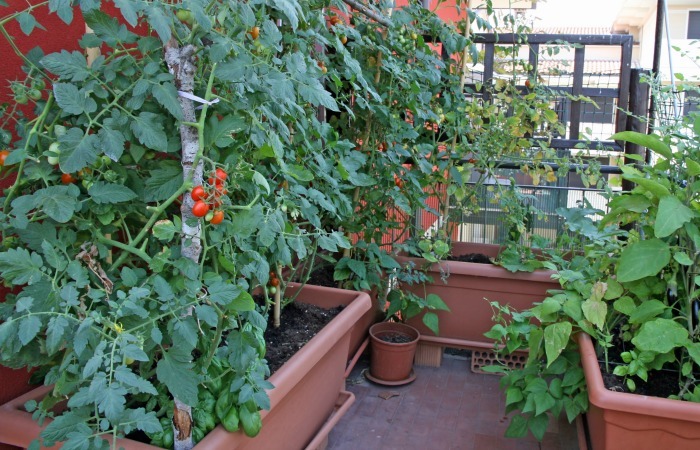 Do you have planters of beautiful flowers or veggies on your porch or back deck? If you forget to water those plants you can easily lose them in the hot summer sun. Set my alarm on your FitBit or Smart Phone to go off every day at 8 am. This is my gentle reminder will be just what you need to make sure your plants stay healthy all summer long. Ninja tip: Very hot sun can really damage a potted plant. Take time to move your planters under a lawn chair or table on your deck. This will give you plants a break from the hot sun. If you milk goats and you want to make sure your milk always tastes fresh, toss some mason jars into the freezer without the lids on. After a few hours, you can use them to milk directly in to. 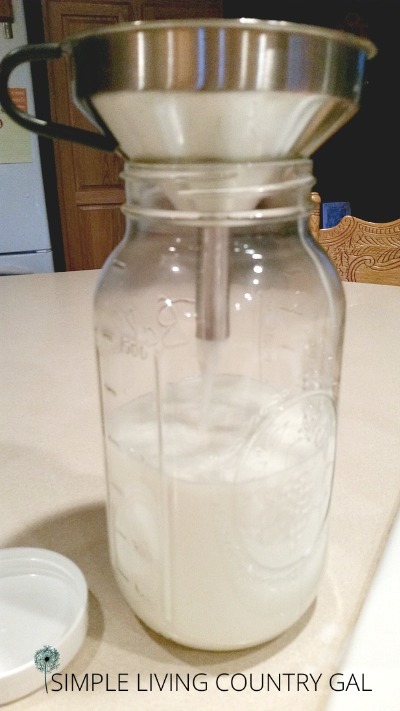 When you bring your fresh milk into your home you can filter it into another frozen jar. Once filtered you can put that jar into an bowl of ice water in your fridge. Getting that milk cold as fast as possible is the best way to make sure it tastes great every time. This one tip really helps get that milk cold and fast. Did you break an egg while out collecting in your chicken coop? Scramble it up, fry it, and give them to your hens for a healthy snack. Add a few fresh herbs to give your gals a nice treat. Eggs are an excellent source of protein and a wonderful snack for your hens. Since I have a larger flock I will any crack broken or heavily soiled eggs into a glass mason jar and store in my refrigerator. Once a week I will scramble the eggs up and take them out to my hens. My chickens love scrambled eggs and it’s funny how they always seem to know I am bringing some out. They run around my legs as I am walking to the coop just so they can be the first to snag a treat. 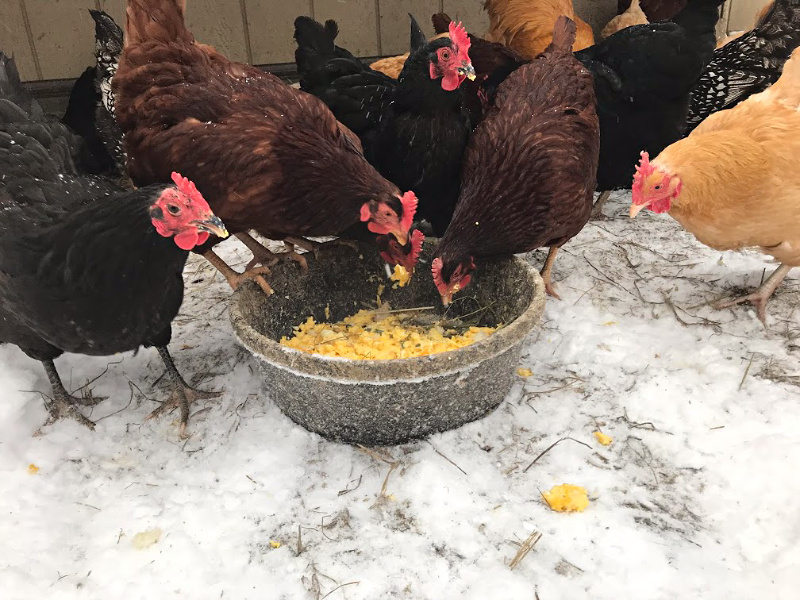 Hot scrambled eggs on a frigid cold winter morning is a great way to warm up your hens. When you are homesteading it is important to think outside the box. This outlook can help you find new uses for worn out things that you may normally throw away. “Use it up, wear it out and make do” will go a long way to saving money and becoming more self-sufficient homesteader. It is all about living on what you have and really thinking outside of the box. Gather up useful advice so you have those tips ready to go when you need them. 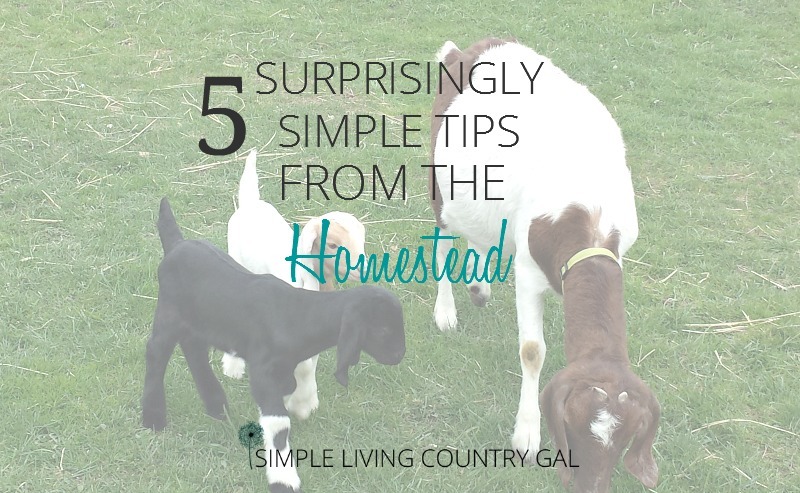 Do you have any simple homesteading tips that have helped you? Leave a comment below, I would love to hear from you! Been a farmer’s wife for 40 year. Had my chickens, sheep and my own dairy cows, 12, in all. Husband did the farming, wheat soya beans and maize, 500ha under irrigation. Yes big and busy and very hands on. Miss those days and life so much.